On Monday, the day after Buzzfeed published an interview with Anthony Rapp in which the actor said that Kevin Spacey made sexual advances toward him in 1986 (Rapp was 14 at the time; Spacey, 26), Netflix announced the next season of House of Cards would be its last. The abuse allegedly continued later that day when the assistant said he took Spacey’s bags to his on-set trailer, at which point Spacey blocked the exit and touched him inappropriately again. The alleged assault took place months after the production assistant initially told a supervisor that Spacey was sexually harassing him. A coworker corroborated to CNN that the assistant had told them about the alleged incident. Another crew member, who worked on the show for all six seasons, told CNN that Spacey made a habit of sexually harassing him and touching him inappropriately. 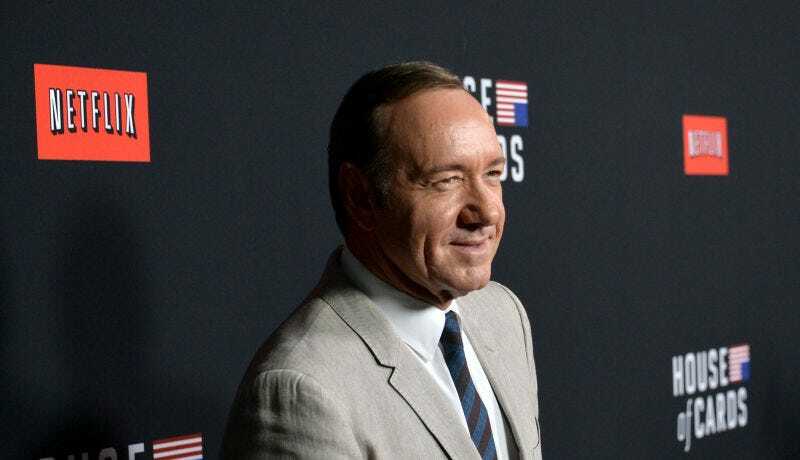 In 2015 Gawker reported several claims that Spacey was aggressive with or inappropriate toward young men, including those working on House of Cards.